Let's face it: Across much of our nation and in Baltimore City, only a small proportion of the population has traditionally had access to the water, and even fewer have had the opportunity to participate in sailing. The Downtown Sailing Center (DSC) is committed to providing opportunities to sail for everyone, regardless of race, ability, or economic status. We believe that sailing can change lives. We also believe that lives can change sailing. The DSC’s targeted outreach programs strive to break down all barriers to participation, giving the community equal access to the water and providing us with a more diverse community of sailors. Sailing is a powerful way to teach the life lessons of teamwork, self-confidence, discipline and leadership to young people. Groups can go out for a few hours of “fun sailing” on a single day or come for a week of half-day sailing adventures focusing on communication and sailing skills. Sailing broadens horizons, stimulates the mind, and engages young people actively with learning and their environment. Through the classroom of the sailboat, students work together to overcome obstacles, plan and execute maneuvers, develop self-discipline and strengthen self-esteem as they explore Baltimore's rich historical waterfront. Since 1997, thousands of Baltimore City youth have gone sailing with the DSC. Our programs are varied, ranging from half-day to school-year long programs for youth. There are opportunities for all ages to sail and gain both sailing and life skills. Our main outreach programs are our Accessible program, STEM programs, our SIT program. These opportunities are possible due to our partnerships with organizations that serve the community and an abundance of volunteers. These community partners help to connect us with those of the most need and support us in the development of our programs. 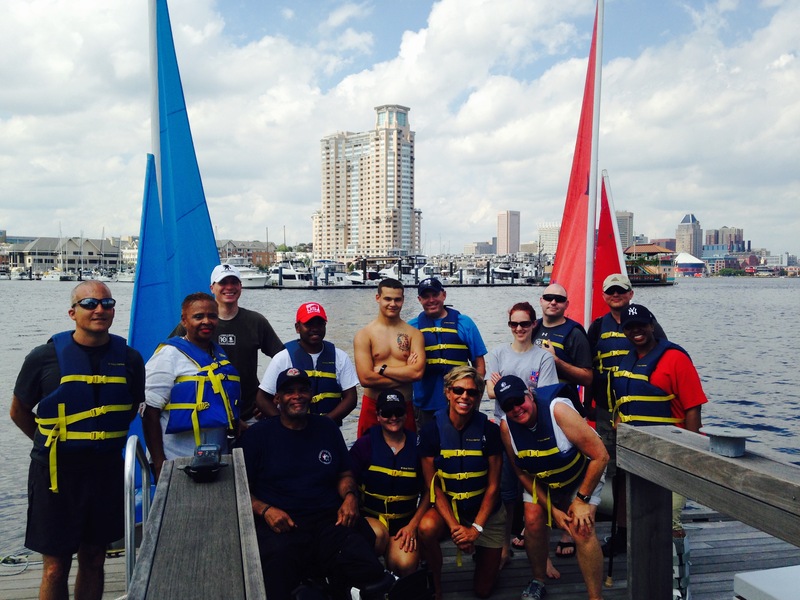 Contact the office at 410.727.0722 or info@downtownsailing.org to inquire about a community outreach program for your group.